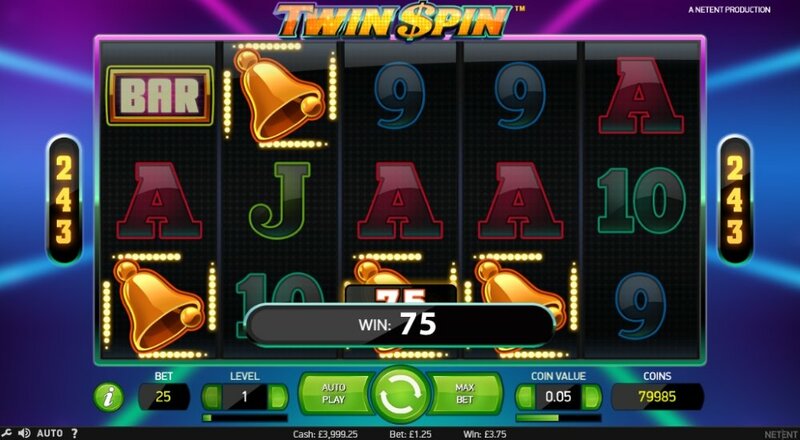 • Twin Spin Slot Review - An Attractive And Compelling Game? 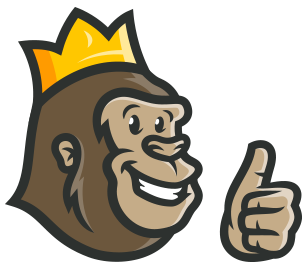 Y’all know the Casino Gorilla will always goes out of his way to separate the good from the evil in this online betting industry. When it comes to slots games, he will toil and grind to bring you all the features about a specific title leaving no stone unturned! 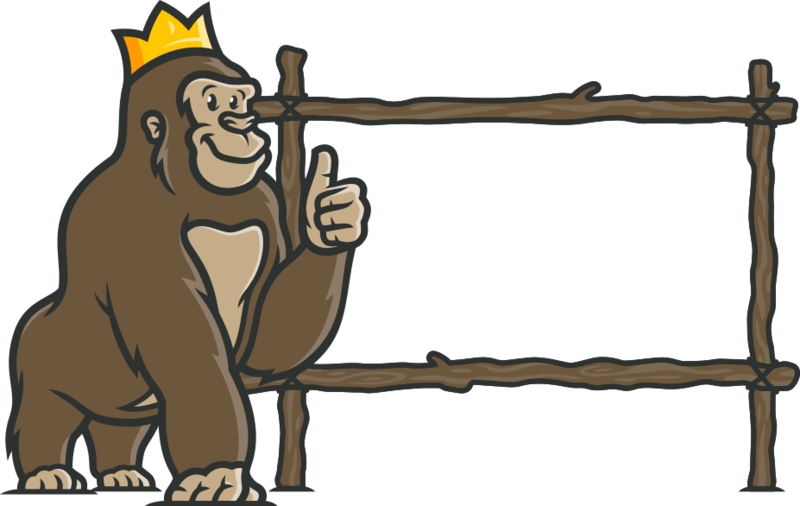 On this very day, the Casino Gorilla stumbled upon Twin Spin Slot while he was conducting his customary inspection through NetEnt’s array of online casino content. The slot was released in 2013, featuring 243 possible pay-lines, and 0.01 and 0.5 Min and Max coins, respectively. The minimum bet stands at 0.25 coins, whilst maximum bet is 125.00, perfect for high-rollers. Win up to 270, 000 coins which is equivalent to €135,000, amazing, right? While spinning, the twin reels can expand to triple (3-reels), quadruple (4-reels), and even quintuple reels (5-reels). NetEnt’s unique synchronizing and linking technology that is featured on every spin ensures that you don’t need to be in Vegas to relish slots buzz! Twin Spin™ pairs old-style casino thrills with modern video slot technology to present to you a game with 96.55 RTP and a Medium/High volatility. Twin Spin™ revolves around lucky 7s, fruits, diamonds and BAR symbols, along with Jazzy sound effects that exudes tradition. To spin the reels, you need to hit the ‘Spin’ button which is perfectly placed on the middle. Choosing the betting range is straightforward enabled by the ‘Level’ and ‘Coin’ value buttons. When you feel exhausted, there is an autoplay feature to help you spin the reels automatically. 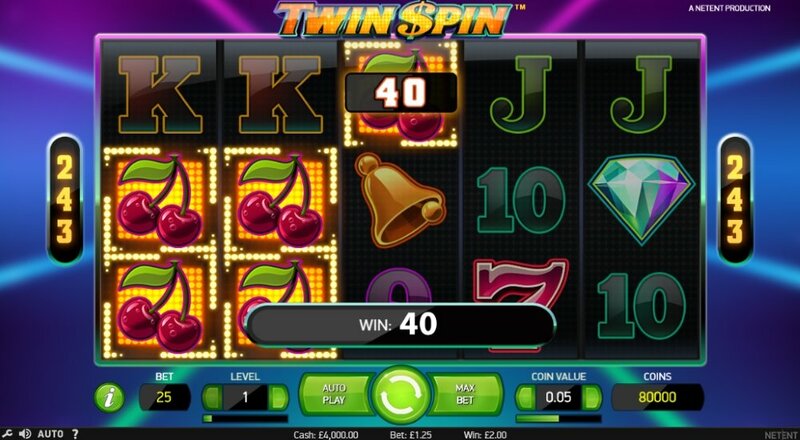 Twin Spin™ symbols will particularly be familiar to punters who has ever played a fruit machine as you’ll come across lower values A to 9 along with lucky 7s, bars, and cherries. The most rewarding symbol is the diamond which gives you 1000 coins after landing 5 on a pay-line. Due to lack of complicated features, the visuals and graphics are crisp and runs smoothly across various devices including mobile and PC. Twin Spin™ doesn’t feature bonus rounds, pick me rounds, cash trails, or any other traditional features. When the Casino Gorilla talks of simplicity, it actually means it—the game centres on the base game, explicitly the game features the Twin Reels. However, you’d think delivering identical symbols with 2 reels will be pretty straightforward. You’re wrong—it is actually trickier than you’d think. Expect lots of action, near misses, frustrations, before eventually hitting massive wins! 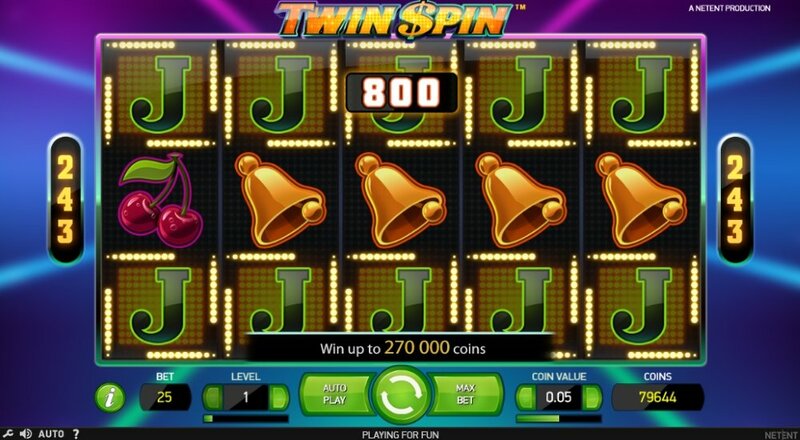 Twin Spin™ is unique from other classic slots by its unique reel synchronizing feature, mentioned previously. It utilises a Wild symbol that substitutes all other symbols on the twin reels. Unlike most 5-ree slots in the market, this title doesn’t also include a Scatter symbol, but you can make use of the Auto-Play feature that can spin the reels anywhere from 10-1000 spins. People looking for free spins will be disheartened here. There are no free spins on this slot. 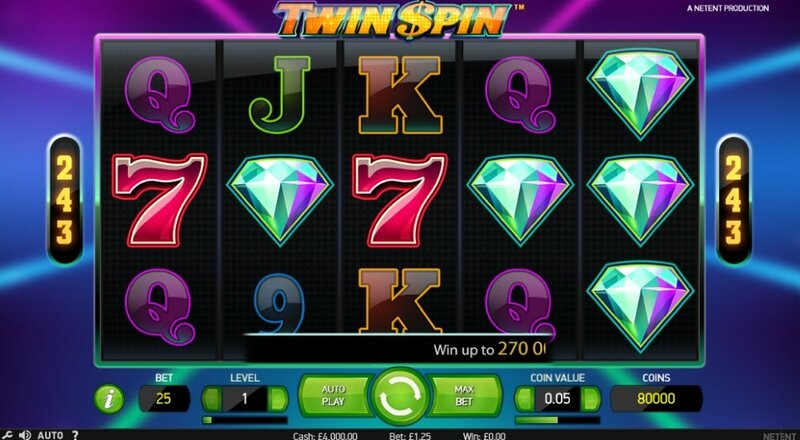 Twin Spin™ is a game that many casino sites love to feature on promos and welcome bonuses, and as such, the only way you can enjoy free perks on this game is by targeting sites that offer it. This straightforward and simplistic game packs a punch on what really matters—providing platers with a plethora of winning possibilities. Here, NetEnt focused on providing numerous pay-lines rather than hosting a jackpot, be it local or pooled. Players, however, have a chance to amass a maximum, money-spinning sum of €135,000 (270,000 coins). We realise that going through this review, Twin Spin™ might seem like a deficient game, but it really takes trying it to enjoy the experience to entirety. The Casino Gorilla thinks Twin Spin™ is an example of how to make an attractive, compelling game with minimum bonus features. Action junkies may find this game a little bit less thrilling. But if you don’t mind the wait and the lack of action, why don’t you give this game a go at one of the most reputable and upright online casinos—Casumo! Fun and full of action. Having ways to win is a great way to boost payouts. Haven’t won a jackpot but have enjoyed large payouts from time to time on this game. It does one thing and it does it very well, which is be a straight forward and fun game from NetEnt. I loved the graphics and the overall design as well. Although found it quite odd that there are no free spins or bonus spins, but I did win some hefty sums of money a couple of times!